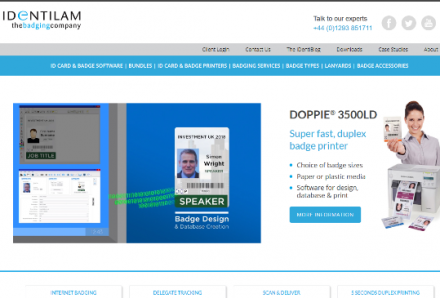 Developing and providing Badging Software and complete solutions for 30+ years IDentilam badging and ID card software is the longest established worldwide. Our software solutions produce badges for conferences, international sporting events, colleges, large security establishments and driving licences. Description: UK badge company IDentilam offers event and conference name badges, corporate ID cards, lanyards, delegate tracking & online accreditation systems.